ABSOLUTELY AMAZING!!! 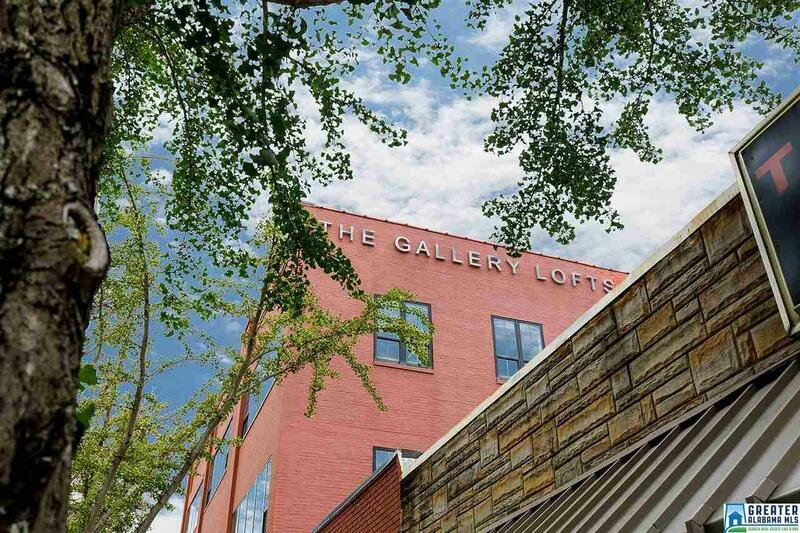 This great unit in the Gallery Lofts Building is ready and waiting for YOU!! Birmingham keeps getting recognized nationally for our awesome tech scene, foodie scene, great cost of living and more. This condo is your chance to get in on that action! Gleaming hardwoods throughout. Nice galley kitchen with stone counters and stainless appliances. 2 FULL baths. Laundry room in the unit. Lots of windows. Exposed brick walls. 2 parking spaces. 2 lobbies in the condo building which are perfect for hosting your friends for intimate gatherings. Seconds away from great food, bars, music venues, and great local shops. You will absolutely love the convenience and your gas mileage will too! Water and gas are included in your HOA fee as well as building maintenance, building insurance and management fees. Call today and TREAT YOURSELF for the HOLIDAYS! !